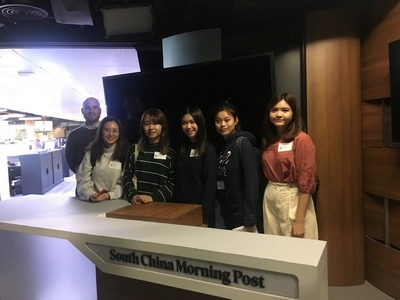 Students of Data and Media Communication (DMC) concentration visited the South China Morning Post (SCMP) at its Headquarter in Causeway Bay on 30 November 2018. The tour was guided by Daniel Moss, the leader of Interactive Team at SCMP. 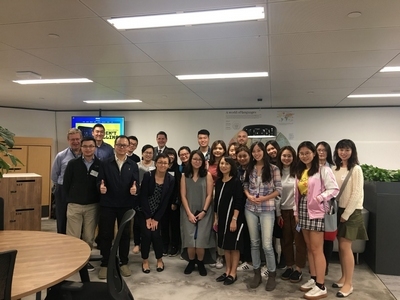 11 DMC students and 5 academic faculties from the Department of Computer Science and the Department of Journalism joined the tour. 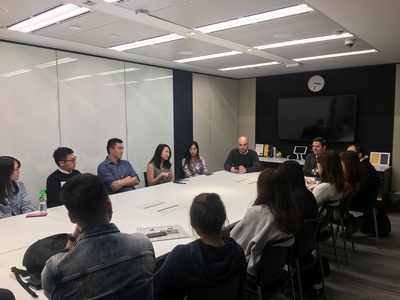 During the visit, SCMP offered a site tour, and invited eight data journalists to share their views on the challenges and opportunities faced by journalists in the digital era. 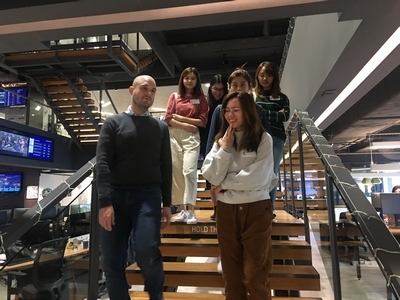 Natalie Koh, the digital producer of the China desk from the editorial department, told students that it is important to apply emerging technology to media industry, so as to pull insights from data and leverage the overall performance. 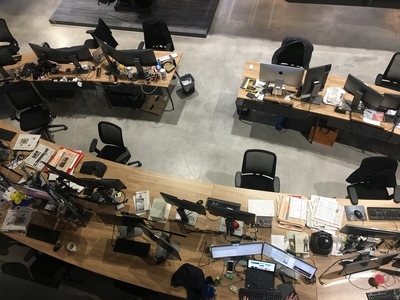 Through this visit, students gained a better understanding of the role of data collection, news sourcing, and data visualization in the news production. DMC students and academic faculties joined the visit. SCMP journalists are discussing with DMC students at the panel. Daniel Moss (Left 1) and DMC students are at the SCMP News Studio. Daniel Moss (Left 1) is taking DMC students to visit different departments. 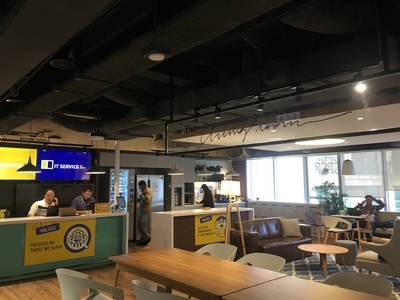 SCMP working place. This visit provides DMC students a good opportunity to learn how journalists work.